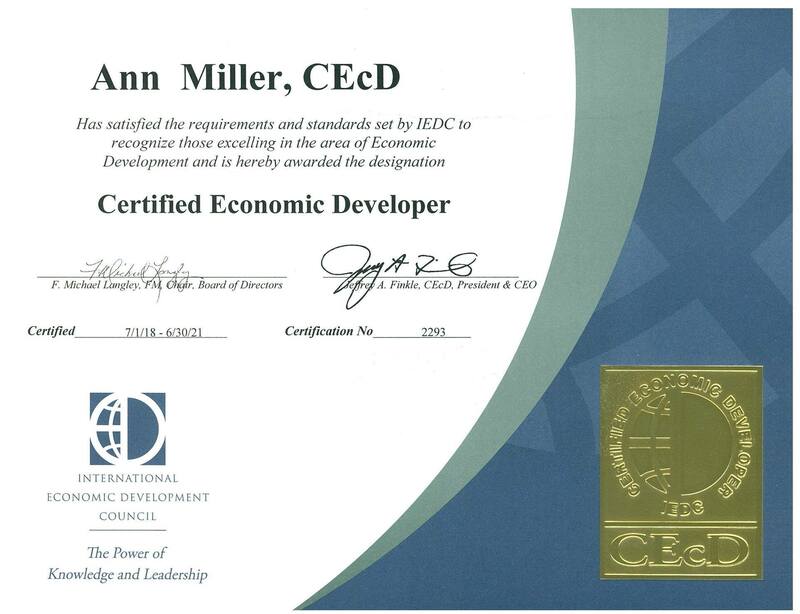 Ann Miller, Executive Director, Buda Economic Development Corporation has been awarded re-certification by the International Economic Development Council (IEDC) effective January 8, 2018. Miller first achieved the Certified Economic Developer (CEcD) designation in 2012 and was one of the youngest people to receive this designation at the time. CEcD recertification, required every three years, was awarded to Miller who met demanding requirements for continuing education and service to the profession. With over 13 years of economic development experiences, Miller has helped guide the economic growth and prosperity of both Ada, Oklahoma and Buda, Texas. Most recent announcements in Buda, Texas include Deep Eddy Vodka Manufacturing Project, 600,000 SF of speculative industrial space to be developed by Exeter Property Group, and Baylor Scott & White Health's full-service hospital that was announced earlier this month. The designation of Certified Economic Developer (CEcD) is a highly recognized national recognition that denotes a mastery of principal skills in economic development, professional attainment, and a commitment to professional growth. Miller first earned certification by passing a rigorous three-part, two-day examination, testing her knowledge, proficiency, and judgment in the key areas of economic development. As highly skilled economic development practitioners, Miller and over 1,000 other Certified Economic Developers works with public officials, business, leaders, and community members to create and retain high-quality jobs, establish economic vibrancy, and improve the quality of life for the people they serve.